cultures from all over the world for more than 70 years . leaping into the global age. between the people of Kyoto and foreigners. That is the goal behind the school's motto: connecting hearts through language. 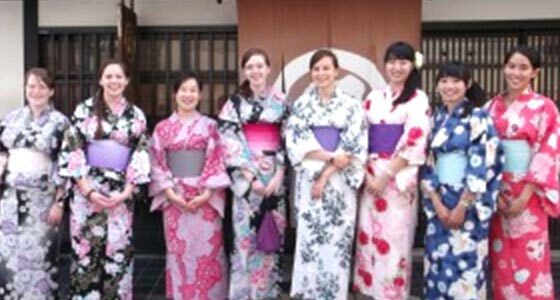 Aimed at those who wish to go to higher education in Japan, work for Japanese companies or learn about Japanese art and culture. This course is intended for those who wish to study during the summer holidays. 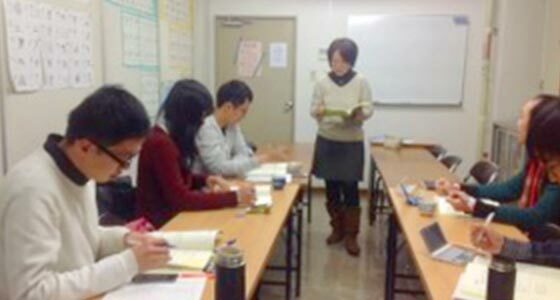 You will study Japanese intensively for 20 lessons, 5 days per week. 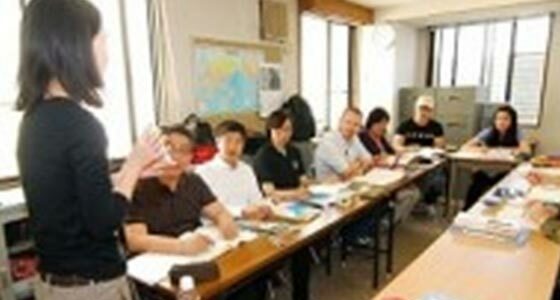 This is a course intended for foreigners living in Japan who did not come for the purpose of studying Japanese. Ideal for people on a working visa, on a working holiday, etc. The Kyoto Japanese Language School has two contract apartment buildings with basic furniture and fixtures necessary for living. We can also help with homestay arrangements and information from real estate agencies. These real estate agencies have staff speaking foreign languages, so you can communicate without worries. Luminous Ichijo is one-room type contract apartment. All you need for daily life has been prepared such as basic furniture, fixtures and bedding. Many students from our school live here. even if the contract period with the management company remains. 5 Minutes by bicycle from the school. Bicycle parking, internet connection (LAN cable & Wifi), coin laundry, unit bath, kitchen. *TV can be rented. Payment of NHK reception fee is required. In case of short-term rent, a separate cleaning fee of ¥15,000 is charged when moving in. The departure date will be decided upon signing the contract. We can not extend the contract. If there is a possibility of extension it will be a one-year contract. The apartment is owned by our school. It is the closest apartment to our school. The entire building houses 18 people. Other residents, besides students of our school, are foreign university students or foreigners working in Japan. Urban Boat is a contract apartment. Basic furniture and fixtures needed for daily life are already prepared. Conveniently located. Designer apartment with an undressed concrete wall. 10 Minutes by bicycle from the school. The rent varies depending on the room. Electricity needs to be paid separately. The entire building houses 60 people. Many Japanese students live here as well. The concierge is female, she is in the building 3 times per week. The landlord lives on the top floor, so even if the concierge is absent you can feel secure. Foreign students live in dormitory-type rooms. There are a total of 16 dormitory-type rooms (2-3 private rooms with a shared area). If you need a bedding set for a long term stay, you can purchase it through us. If you need a bedding set for a short term stay, you can rent it from Urban Boat. The school arranges homestays. Please inquire for details. Our school also arranges homestays for our students. For details, please contact us. You can also find a room using the following real estate agencies. They have employees who can speak foreign languages so feel free to contact them anytime.